We hold immense expertise in catering to the variegated requirements of the customers by bringing forth a remarkable range of Speed & RPM Measuring Instrument. Under this range, we comprises RPM-Speed Indicator & Controller, Digital Timer and Frequency To Current Converter & Isolator. The entire range is manufacture in compliance with the international quality standard using finest quality raw material that is procured from the trusted vendors. Easy-operation, high performance and longer service life are some of the striking features of our range. 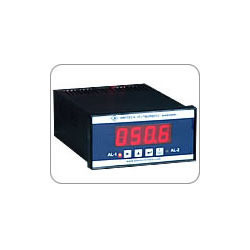 Owing to our expertise in this domain, we have been able to cater to the variegated requirements of the customers by bringing forth a wide array of RPM & Speed Indicator & Controller (96*48, 0.5” Display). Manufactured using high grade raw material and ultra-modern facilities, these products are developed at our spacious infrastructure premises. Driven with perfection, we are engaged in catering to the variegated requirements of the customers by bringing forth a comprehensive range of Digital Timer(96*96, Cyclic Type). These products are designed in order to set time delays in the process. The particular unit is designed by microprocessor electronic circuit, which is highly demanded by the patrons. Customers can utilize our range according to their choice. Transmitter P.S. @ 12/24V DC. Output Potential free contact/ Open collector o/p. 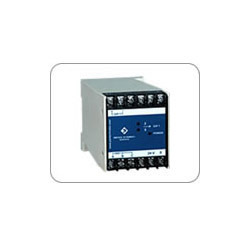 Owing to our expertise in this domain, we have been able to cater to the variegated requirements of the customers by bringing forth a wide array of Frequency To Current Converter & Isolator. These products are manufactured by making use of excellent quality raw material and sophisticated technologies for the development of our products. Further, our patrons can avail this range according to their choice and preference. 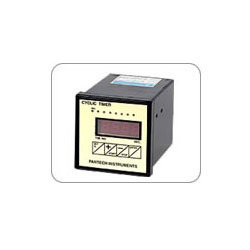 Looking for Speed & RPM Measuring Instrument ?